The Edvard Grieg project finished as of the 1st of May 2015 and brings to an end a 17 month project onshore in Stord, Norway. In May 2015, one of our longest running Rigging projects sadly came to an end. The Edvard Grieg project finished as of the 1st of May 2015 and brings to an end a 17 month project onshore in Stord, Norway. 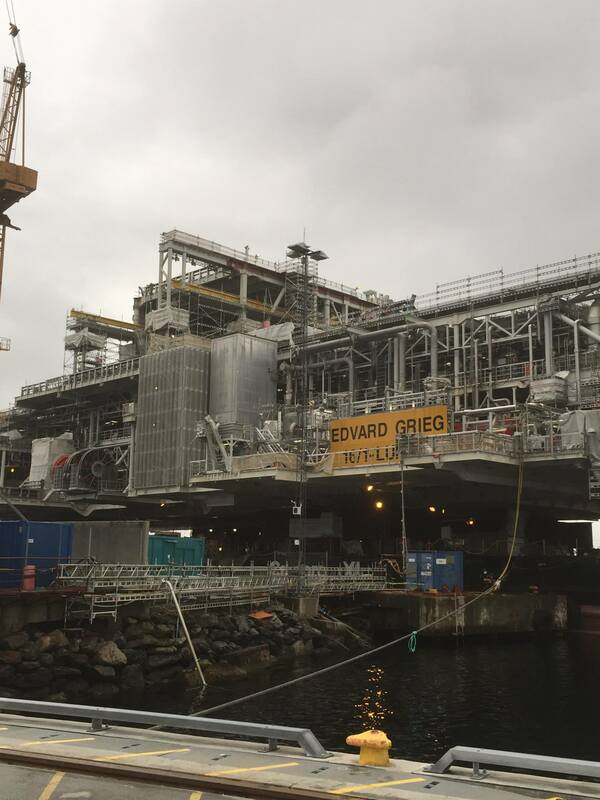 The Edvard Grieg Topside was constructed at Kvaerner Stord (AS) and the final delivery of the module is scheduled in the coming weeks. Kvaerner Stord (AS) have the contract to perform the offshore hook up. We supplied a total of 70 Riggers, a number of which remained in employment for the duration of the project. They were involved in all aspects of Rigging throughout the 1 year and 5 month period. The first oil production due in late 2015 and it is estimated that it will produce in excess of 90,000 barrels of oil per day. The topside has a total weight of 21,000 tonnes and consists of a Topside module, living quarter and utility module, a process module and a flare tower. The hard work and commitment of our employees has ensured that the project was a huge success, and we hope to continue this success with future projects.